Our favorite desserts in Columbus will have you drooling, so quick, go grab a napkin! These delectables will make your Valentine’s Day even sweeter with your sweetie. 1. 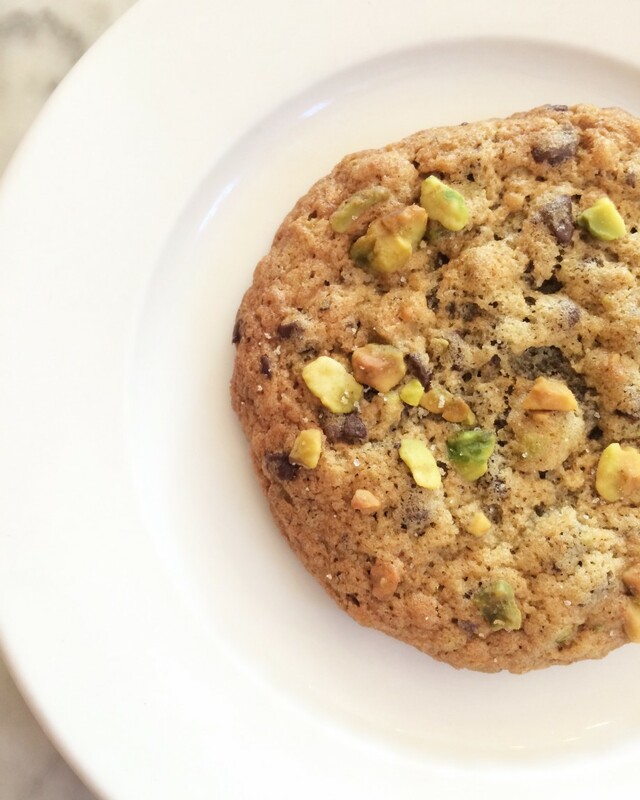 The #kasualcraves favorite pistachio chocolate chip cookie from Pistacia Vera. The pistachios add a buttery nuttiness, the chocolate is slightly sweet, and the touch of salt just rounds out all the flavors. 2. 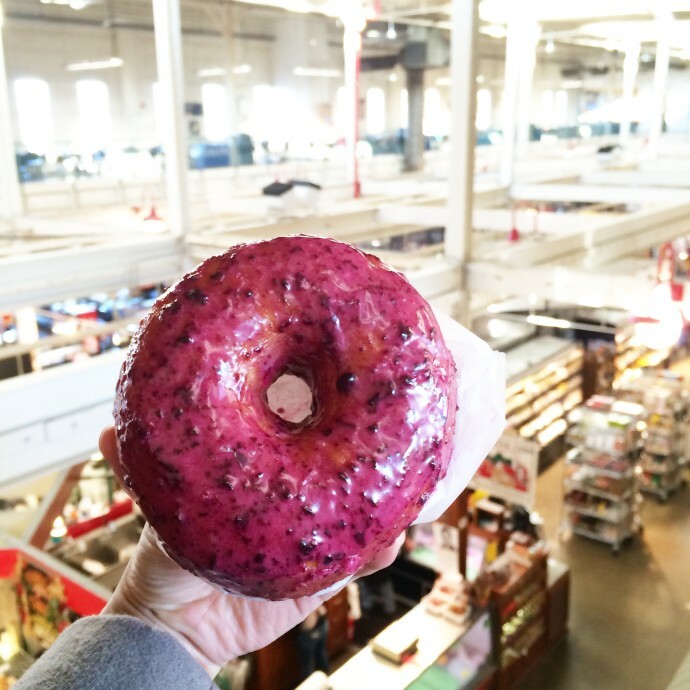 The ever fluffy lemon blueberry donut from Destination Donuts in North Market. This donut is so soft, yet dense. The lemon blueberry is my favorite flavor, I almost cry every time they run out of it. 3. 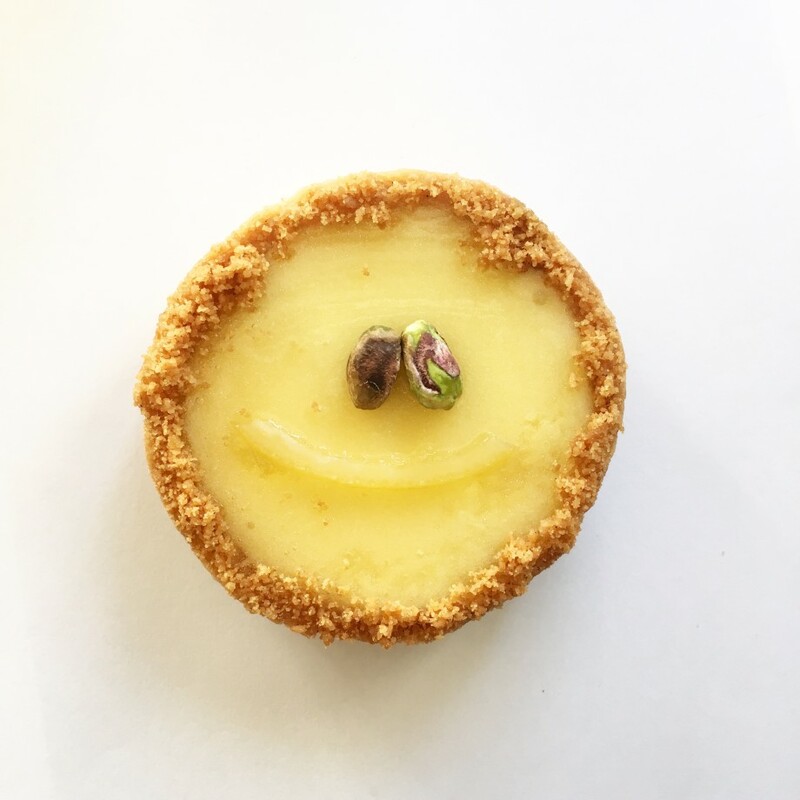 The sweet & tangy lemon tart from Pistacia Vera. This dessert is well balanced from the tart yet sugary lemon filling that’s almost gelly like. Underneath is a pistachio butter spread. Oh, and the graham cracker crust is … everything. 4. 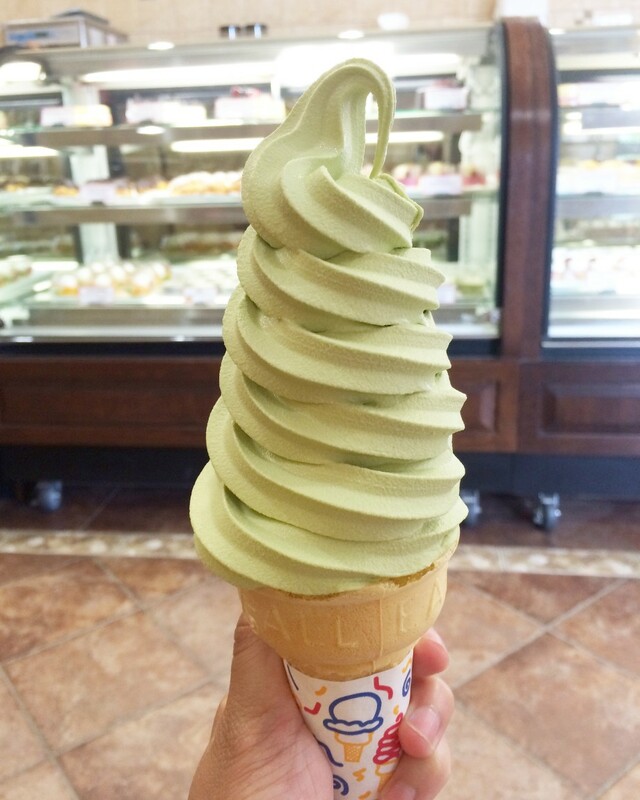 The refreshing green tea soft serve from Belle’s Bread. We enjoy this all year around. It’s light and they always stack the cone. The swirls are what soft serve dreams are made of. 5. The buttery hand pies from Fox in the Snow Cafe. This is pretty much a next level Pop-tart and toaster streudel, but made with real ingredients. The crust is buttery and flaky and the filling is variable depending on what’s in season. I prefer the blueberry flavor! 6. The always splended Jeni’s ice cream. How could this not be on our list?! A Columbus essential. 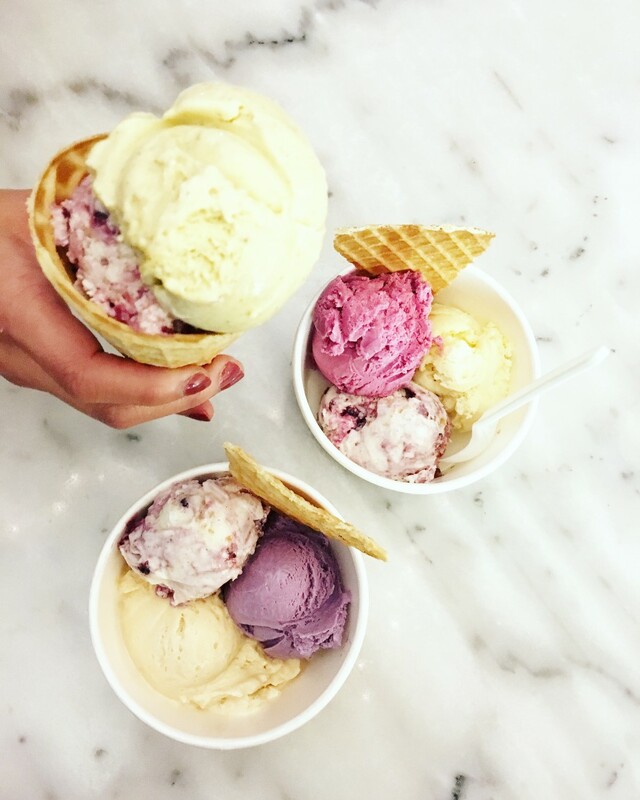 Brambleberry, pistachio & honey, salty caramel, and brown butter almond brittle are our flavors of choice. And those freshly made waffle cones…the smell is intoxicating when you walk into one of the scoop shops, and of course, they are yummy! 7. The 2 in 1 dessert gelato bomb from Coppa Gelato. This is essentially a donut filled with gelato. Great for sharing. 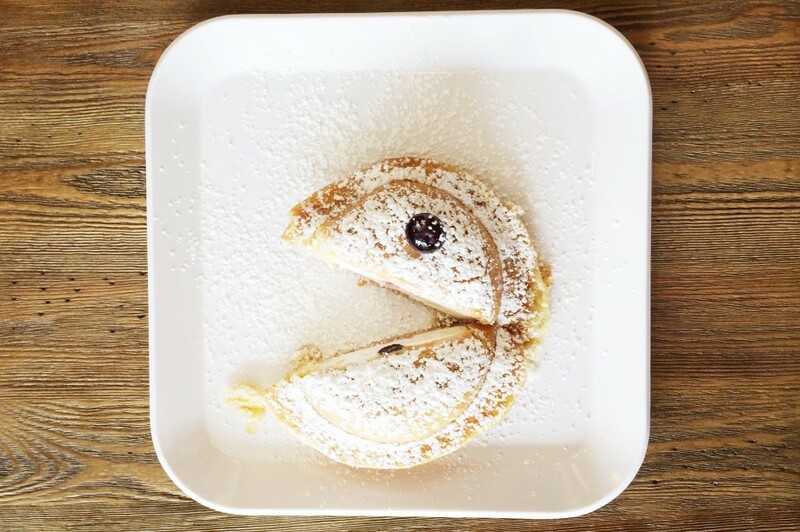 Oh yeah, we like Pacman resembling foods. I LOVE Pistacia Vera. I make trips to German Village just to pick up goodies from there. I still haven’t made it to Destination Donuts yet but I need to! I keep seeing people post pictures on instagram and I’m dying to try them! I have a feeling it will be hard to choose what flavors to get! 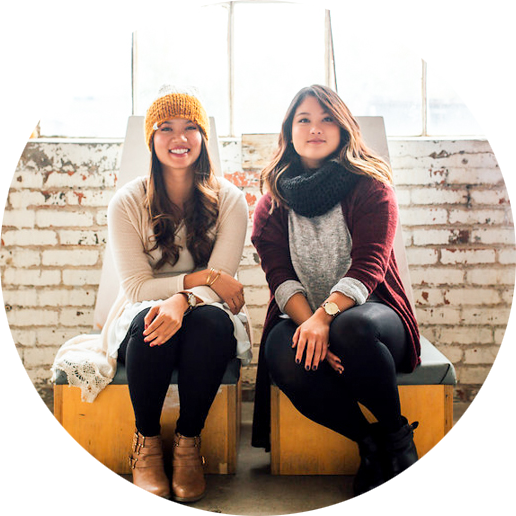 You can come try a whole lot of local desserts at Best Bites on Feb 9! 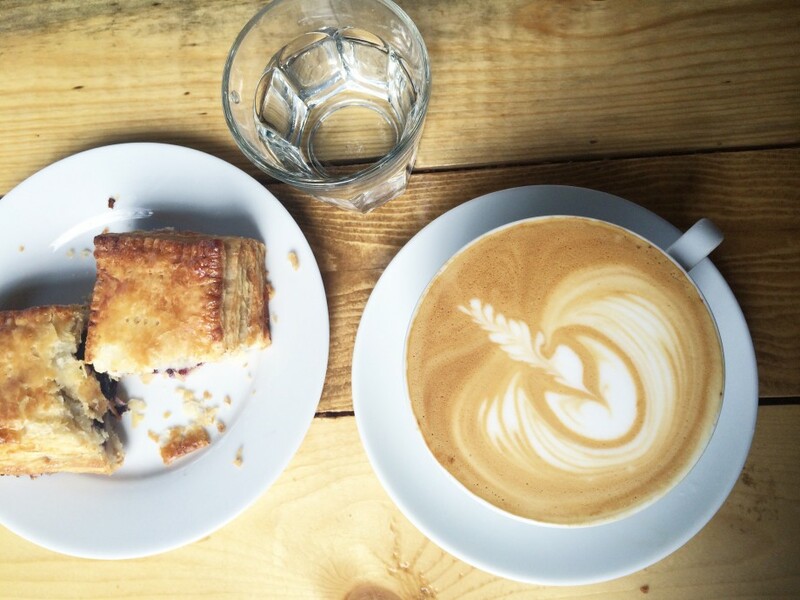 We’ve got 28 local bakeries and treat makers gathering under one roof for a tasting extravaganza! I love Pistacia Vera and I am obsessed with Coppa Gelato! Great article!